Hobby horse competitions were popular this year with the Euronews audience on Facebook. 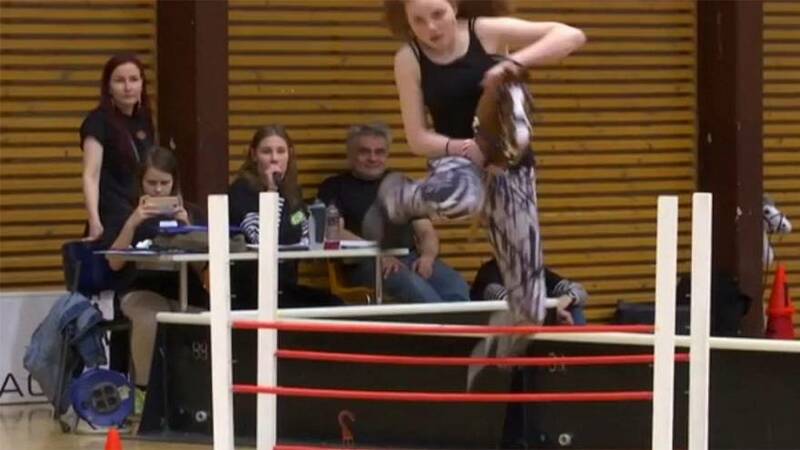 The hobby horse annual championships in Vantaa Finland was the most-viewed video on the Euronews Facebook page in 2017. An estimated 1,000 spectators gathered in a packed sports hall to watch the 200 participants compete with their hobby horses in categories like dressage and show jumping. The sport simulates traditional equestrian events.